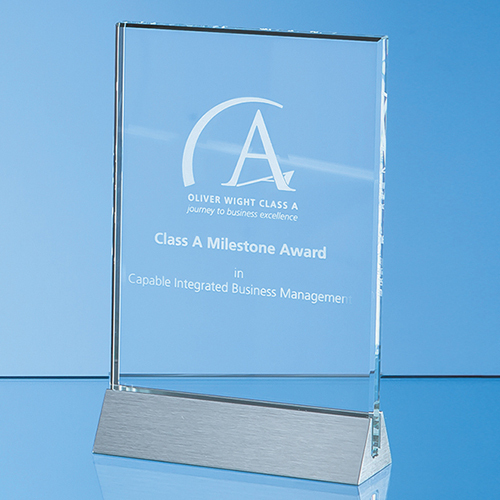 A classic clear glass rectangular plaque on a modern aluminium base. Ideal to use as a corporate award or a commemorative item this plaque is available in three sizes making it suitable for 1st, 2nd and 3rd prize awards. Each is 1cm thick and the sizes are 15cm x 10cm (shown), 18cm x 12.5cm and 20cm x 15cm meaning there is plenty of space to engrave an inscription, logo, crest or message.